Crystal River is on US-19 on Florida's Gulf Coast about 80 miles north of Tampa. This village of 3,000 people is wrapped around the shores of Kings Bay. Up to fifty springs feed the bay, and the water flows gently from the bay westerly down Crystal River to the Gulf of Mexico. This group of springs is designated as a first-magnitude system (more than 100 cubic feet of water per second). It is second in Florida only to Wakulla Springs south of Tallahassee. The spring-fed waters of Kings Bay stay at 72 degrees F. all year round, and this attracts manatees, especially during the winter. They escape the colder waters of the Gulf and congregate in Kings Bay. 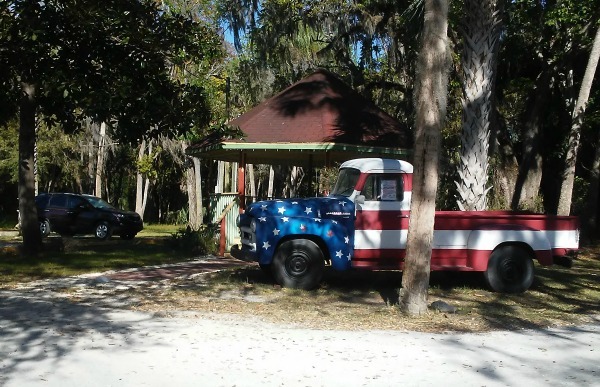 The area around Crystal River and Kings Bay began attracting settlers by the mid 1800s in the years before the Civil War. After the war. the economy began to grow and was based primarily on commercial fishing and growing and shipping citrus. The great freezes of 1894 and 1895 destroyed most of the citrus groves, and the economy shifted to turpentine because of the abundance of giant pine trees. The lumber industry also prospered with several large sawmills working in the area. Phosphate was discovered east of Crystal River and mining and shipping it also became a big industry. The phosphate industry brought the railroad and it finally came to Crystal River in 1888. This was the beginning of the tourism industry. The tourists noticed and enjoyed watching the manatees in Kings Bay. There are sometimes more than 400 manatees in the bay during the cold months, and this has become a prime tourism attraction for people that want to see and interact with these gentle animals. 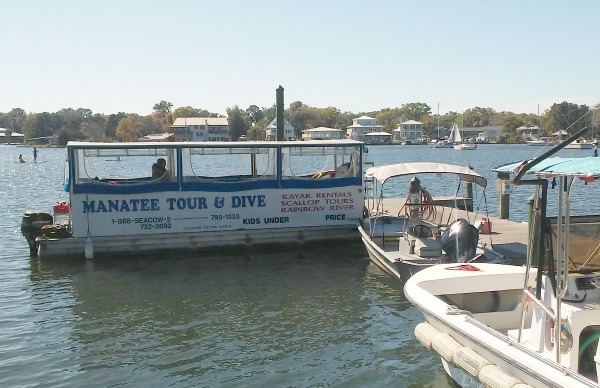 Tourism has supplanted commercial fishing as the number one contributor to the economy, and there are dozens of businesses that cater to helping visitors get out on the water and enjoy the manatees. One of Crystal River's most famous residents was Ted Williams, Hall of Fame baseball player from the Boston Red Sox. 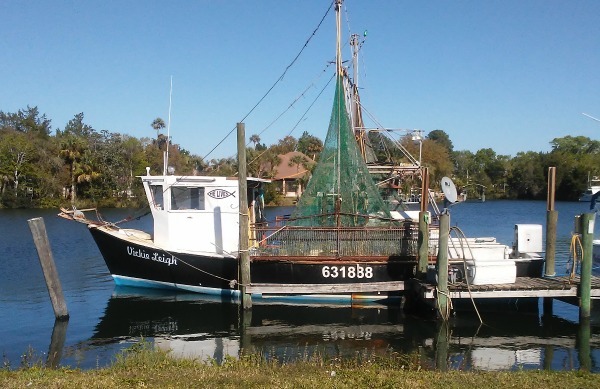 Ted was a world renowned fisherman and enjoyed the waters around the village and in the Gulf. 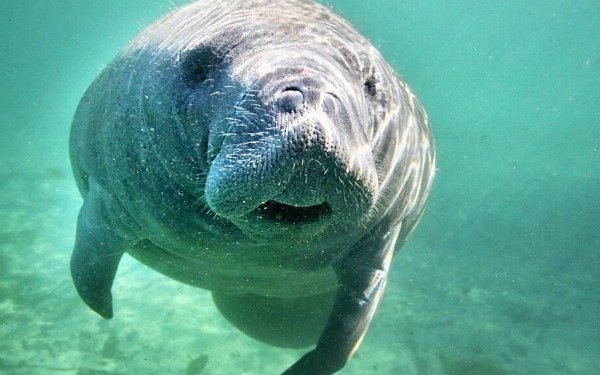 Learn more about swimming with manatees in Crystal River. 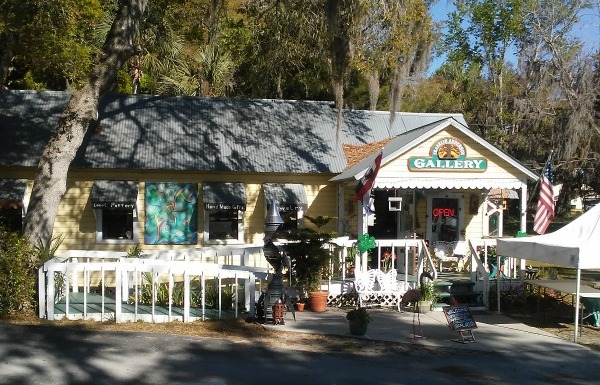 There are several good restaurants in Crystal River. Vintage on 5th is one of the best. It is located in the historic downtown district in an old church built in 1940 that was completely renovated many years ago. 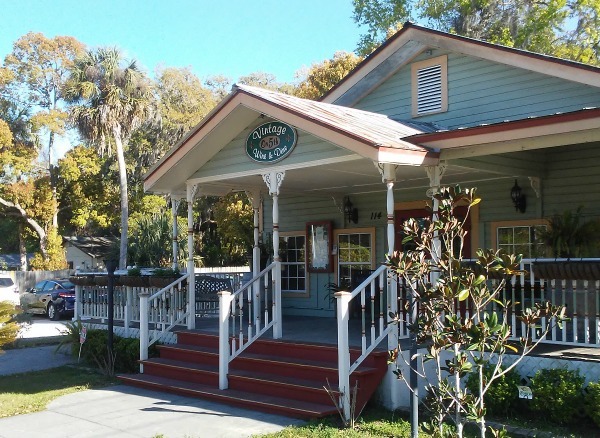 The restaurant specializes in fresh fish, and Crystal River has plenty of them in the fresh waters of the nearby river and the salty water of the Gulf of Mexico. When you enter the restaurant you are given a friendly greeting by a hostess who takes you to your seat. 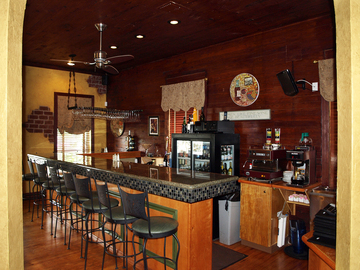 On her left you catch a glimpse of the cozy inviting bar and may decide to eat there instead. While you are waiting for your meal, there are many appetizers that will help you enjoy the wait. You can have ahi tuna with Asian slaw, Caribbean jerk shrimp, pork belly, and my favorite: truffle fries that are like crispy french fries tossed in light truffle oil and sprinkled with parmesan cheese and sea salt. Among their seafood offerings is black grouper, and they also have a lot of Southern regional dishes like shrimp and grits, mac and cheese, and fried green tomatoes. The land lubber is not forgotten, either, with a great selection of hand cut Angus beef steaks, pork chops, rack of lamb, pasta dishes, and duck breast. The dessert menu includes Creme Brulee, a Root Beer Float, carrot cake, and a great Key Lime Pie. 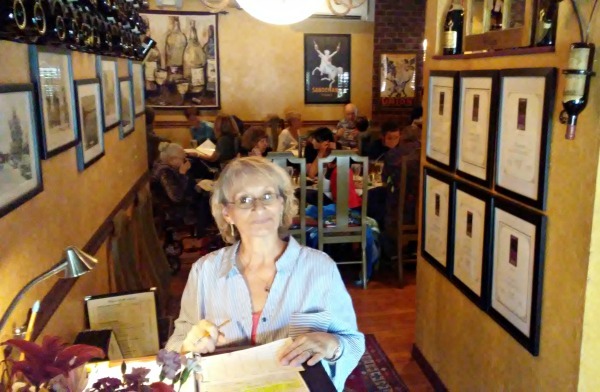 Vintage on 5th has a great wine selection, and you can enjoy you meal inside or on the outside porch, weather permitting. Hours of operation are Tuesday through Saturday from 5:00 pm to 9:00 pm except they stay open until 10:00 pm on Friday and Saturday.